There aren't many resorts that know how to make a person truly feel at home. 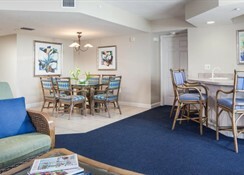 So when you arrive at GullWing Beach Resort, you'll instantly realize what's been missing from past vacations - the feeling that you're staying at a private Fort Myers Beach condo residence rather than a resort. You'll soon realize you have found pure bliss - especially since GullWing is located on the widest stretch of white sand on Estero Island. 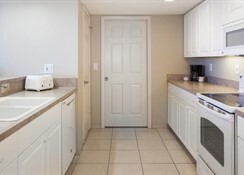 Fort Myers Beach Florida condos have one-, two-, or three-bedrooms; in-room washers and dryers; a living and dining room; a Jacuzzi tub; and full kitchens. Once you decide to venture out, you'll be equally pleased. Frolic in warm, turquoise waters. Collect beautiful seashells. Take a stroll along the shore, and watch dolphins play in the surf. 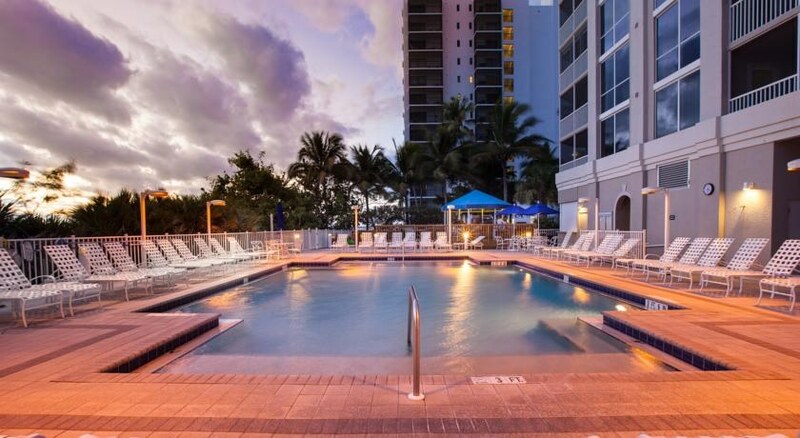 Relax in a heated outdoor pool. 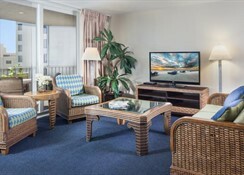 Enjoy a barbecue at a beachside gazebo, work out in the fitness center, or play tennis. 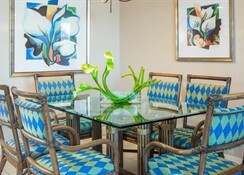 This brand new beachfront apartment property is a home-from-home, located on the south end of Estero Island. It offers guests a heated pool, tennis courts, an outdoor spa, barbecue areas, cabana rentals, and a gym. 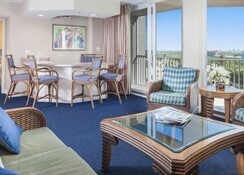 Each suite includes a spa tub in the master suite, a fully equipped kitchen with a washer and dryer, a spacious living room with a wet bar and dining area and spectacular views of the Gulf of Mexico from a private, screened lanai. Further facilities on offer to guests at this air-conditioned establishment include a lobby area with a 24-hour check-out service, a cloakroom and lift access. A car park and covered garage parking are available for those arriving by car.